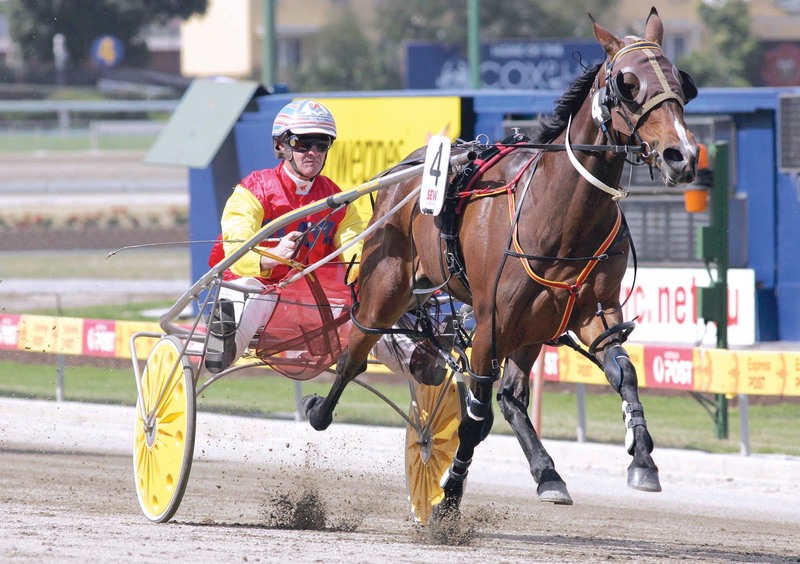 WITH the jury out on whether he can reach the grand heights of his dam, Hazelnuts will take another step towards proving his case at Tabcorp Park Menangle on Saturday night. Building a handy record of two wins and two placings from six starts, Hazelnuts has his share of ability according to trainer Michael Doltoff, but is yet to earn a comparison to his mother, Miss Hazel. Also prepared by Doltoff during her successful career, Miss Hazel was a multiple feature race winner before being retired with 15 wins and eight placings from 29 starts. “He has got ability, but he’s still got to keep improving,” Doltoff said. “I hope he can end up as good as his dam, but he has a fair way to go at this point. “He is doing everything right so far and a win on the weekend will go towards improving my opinion of him further. To be driven by Michael Towers, Hazelnuts has drawn barrier eight in the Kevin and Kay Seymour Evolution Final. The son of Art Major booked a berth in the decider by capturing his heat at Penrith. “The draw has made it very tough on him,” Doltoff said. “It’s hard to know exactly where he will settle from there. With no major plans in mind for the three-year-old, Doltoff is likely to give Hazelnuts “a few more starts” before sending him for a short spell. Can freshman capture Crown and throne? Yankee Clipper flies like a peacock! National Trotguide is Australia’s number one Harness Racing News hub. Providing you with not only the facts, form, and tips, put expert opionions from those in the know; those who live and breath the sport that the late kerry Packer once described as “the most colourful of them all”.